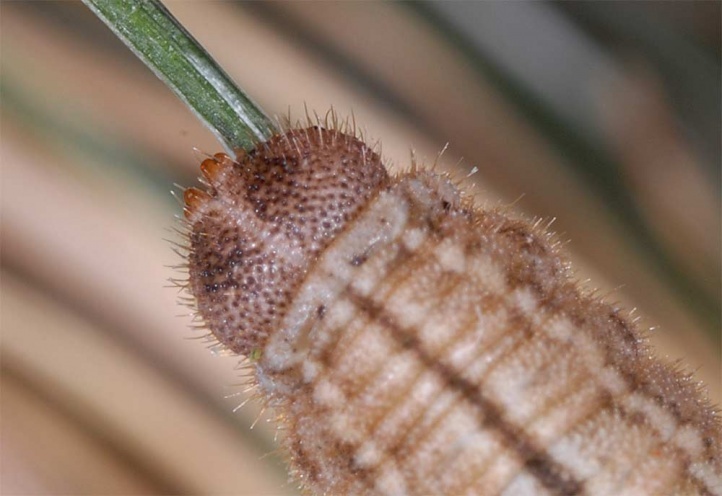 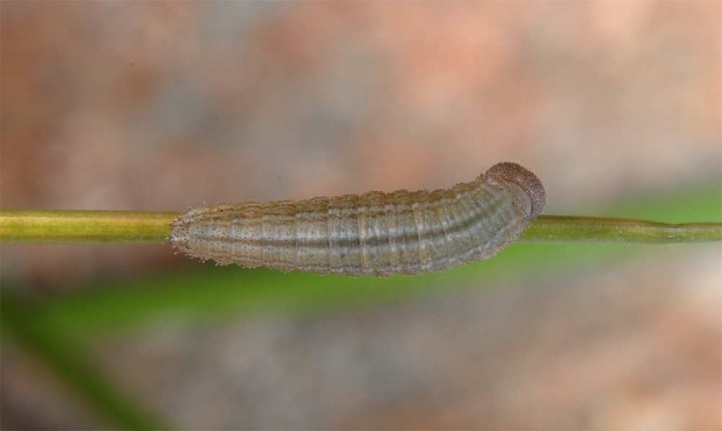 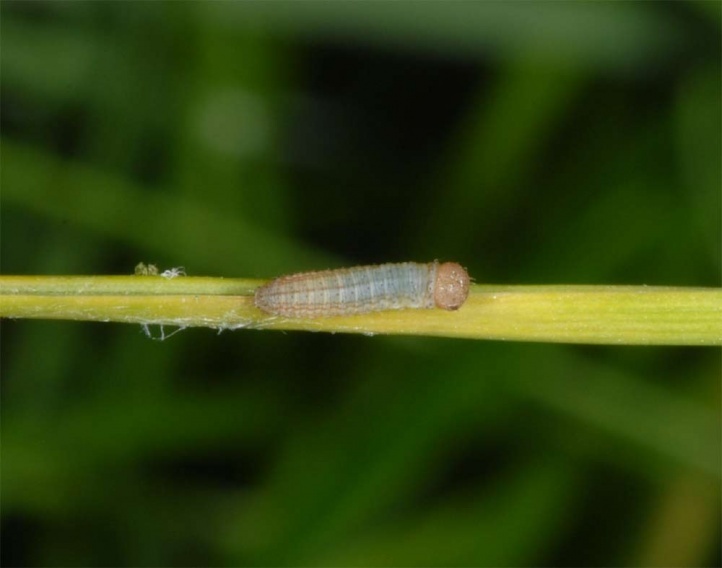 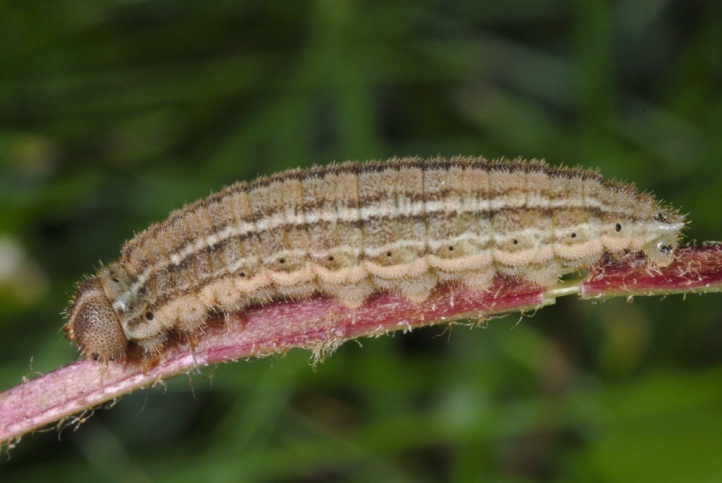 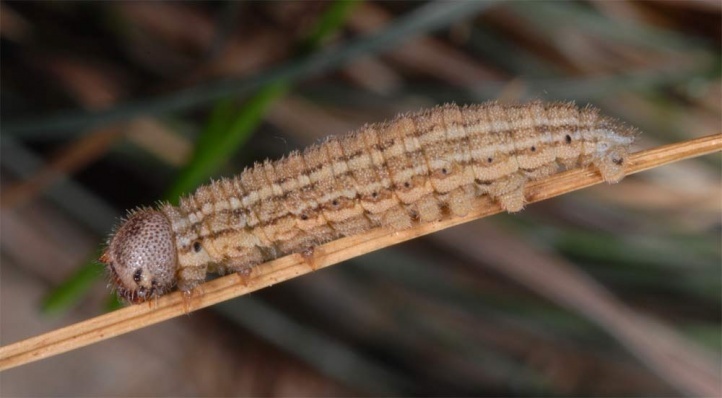 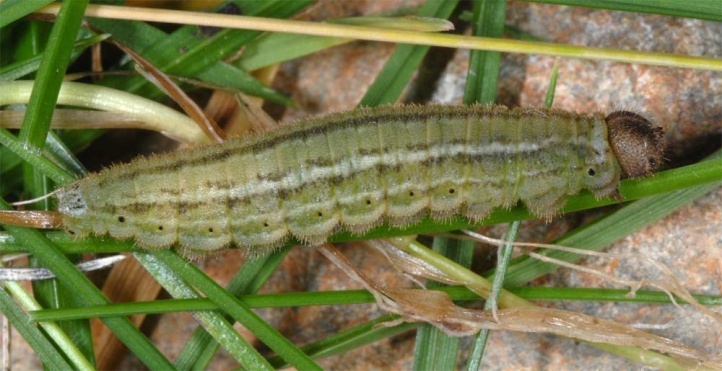 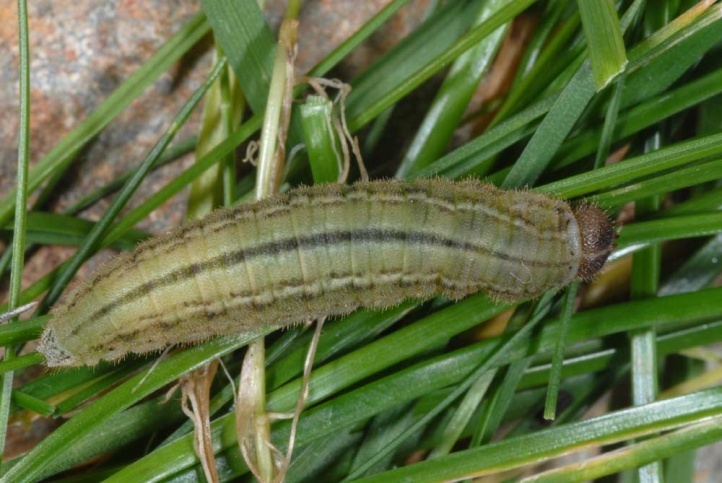 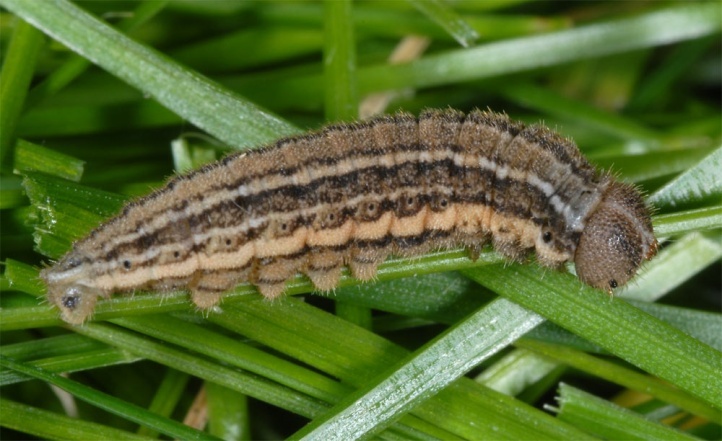 The caterpillars feed on various, mostly clump-forming grasses. 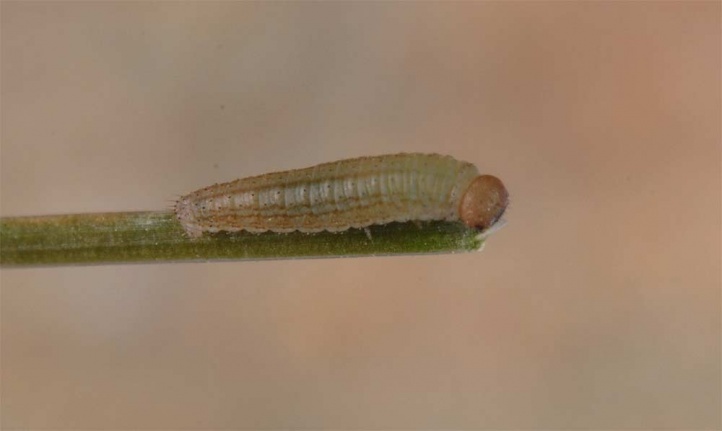 The main genus is here Festuca. 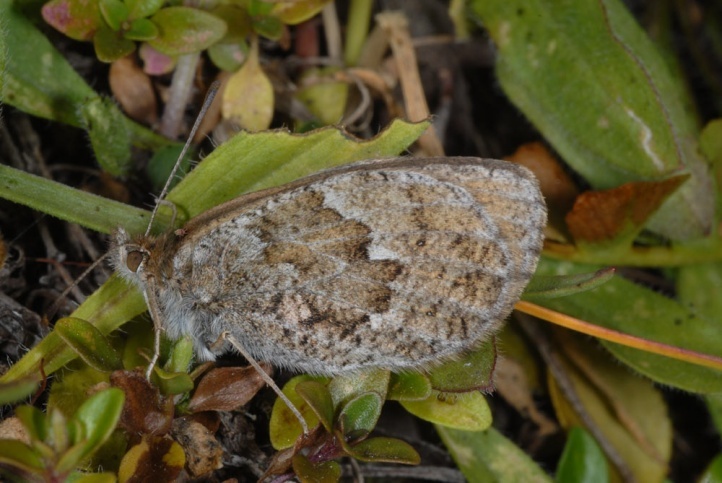 Erebia cassioides inhabits mostly rocky or stony ground. 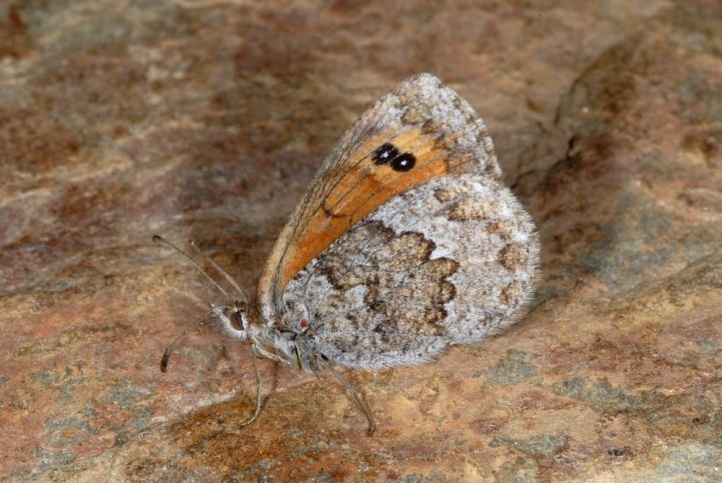 But it can also occur on earthy cracks and embankments. 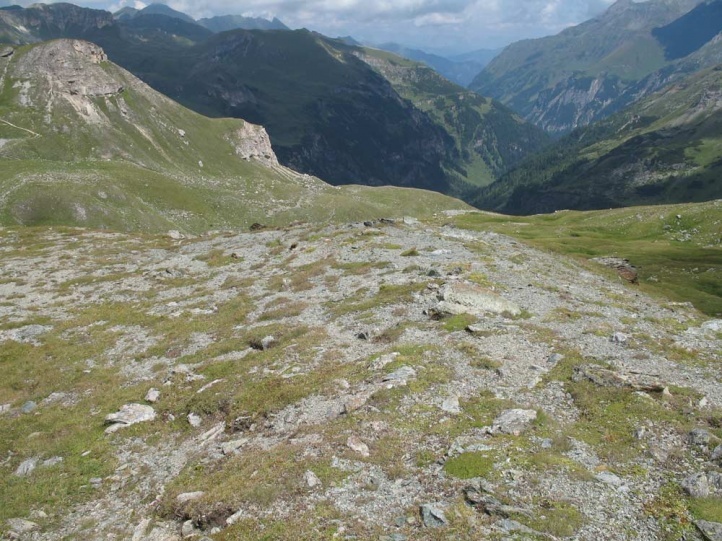 The altitude ranges from 1500 to 2300m (rarely even higher) above sea level. 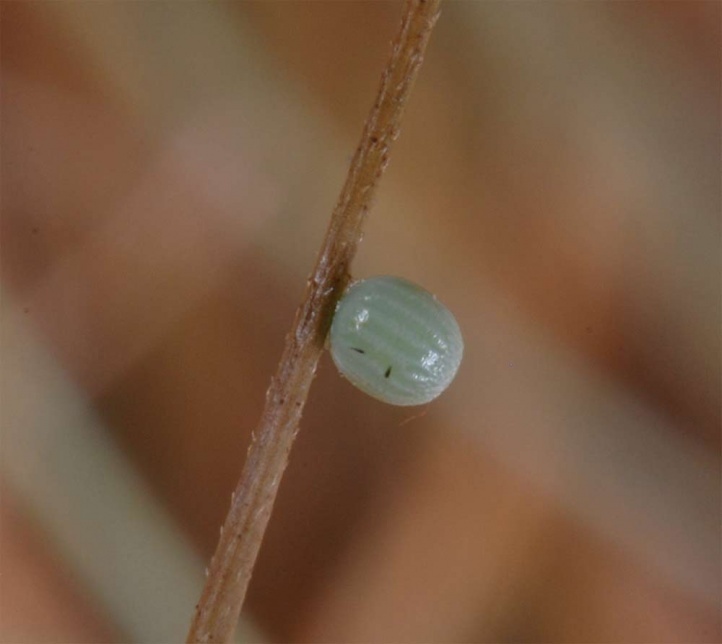 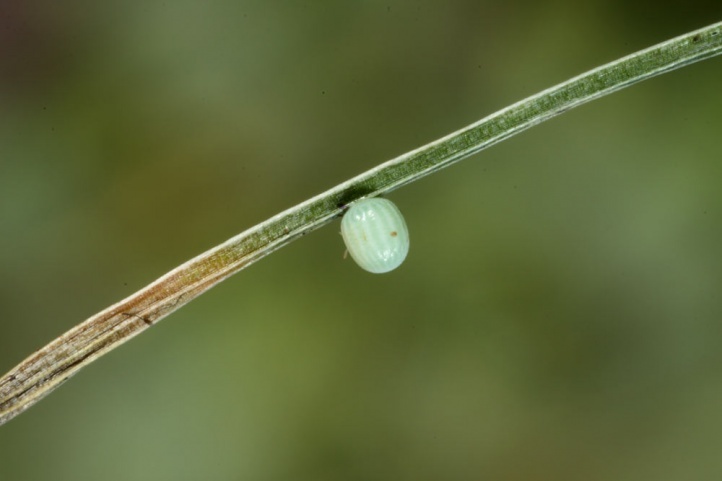 The eggs are attached to green or dead grass leaves. 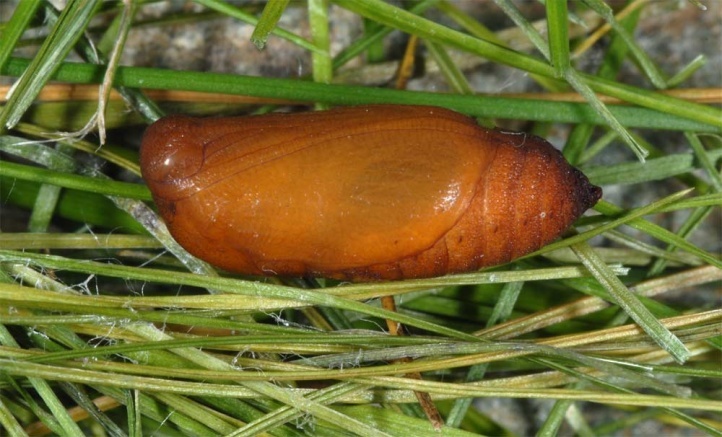 The development involves only a single hibernation. 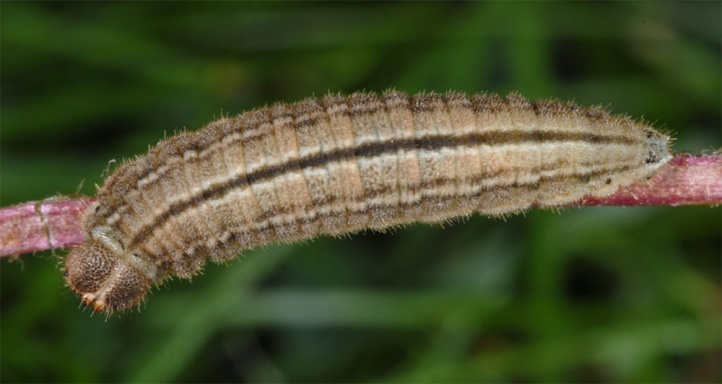 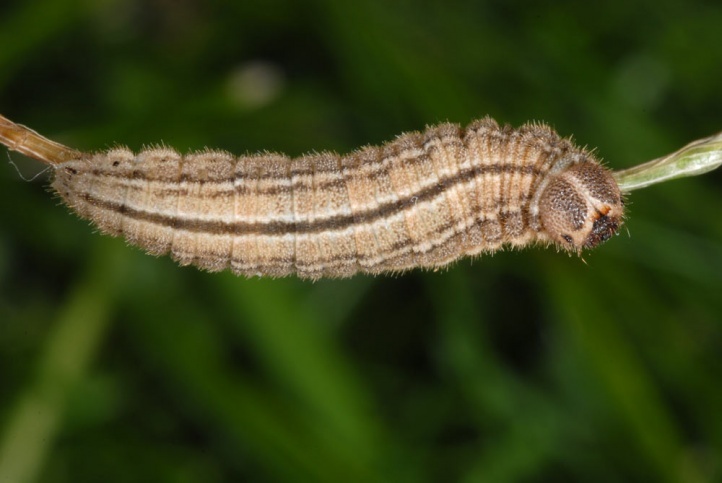 The caterpillar overwinters in the first or second stage and is fully-grown between late June and early August. 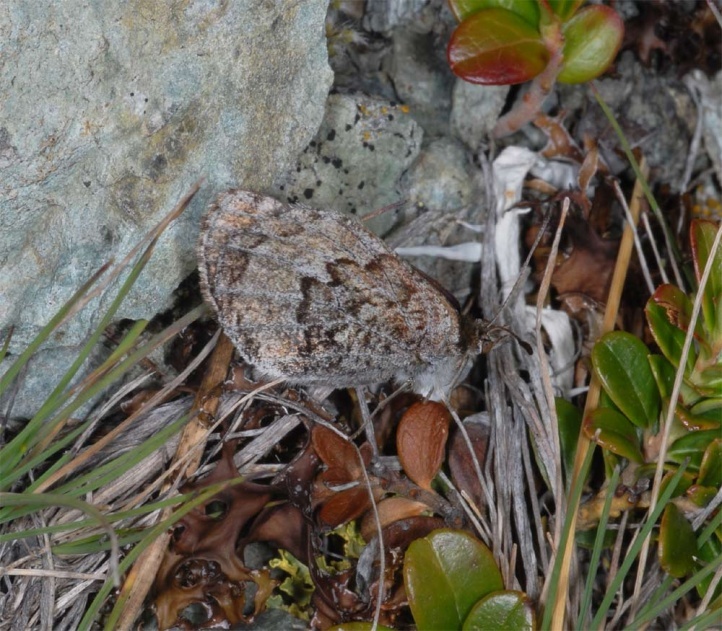 The adults fly from July to September with maximum in August. 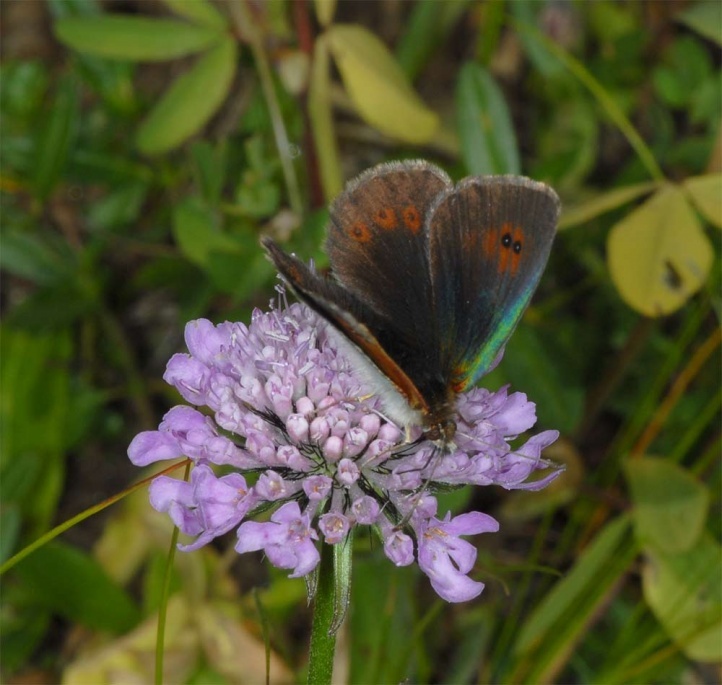 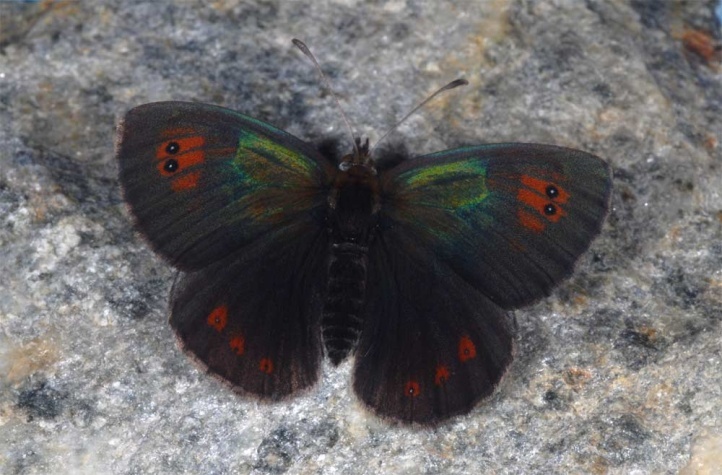 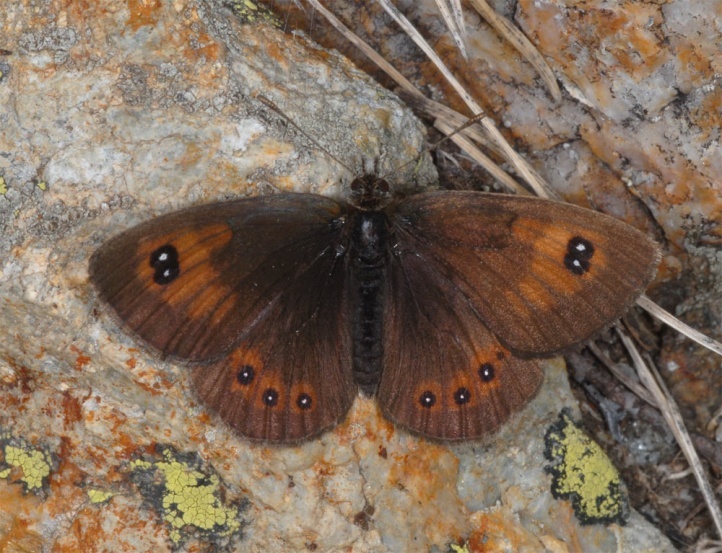 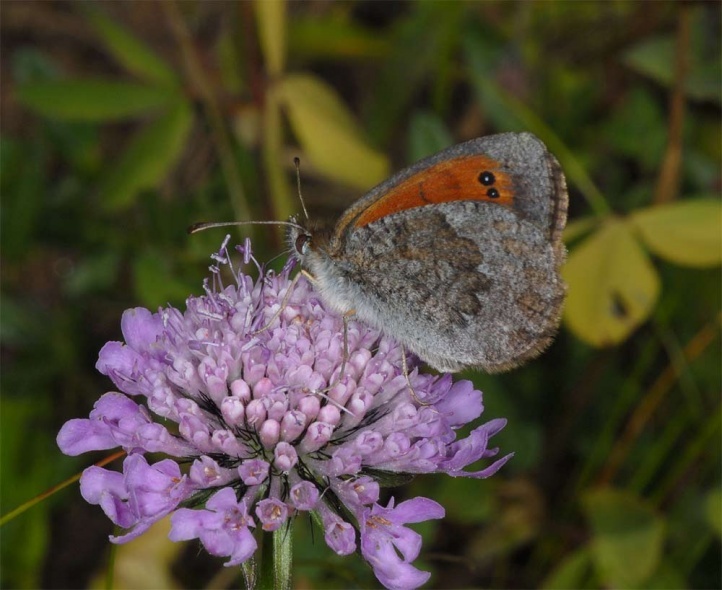 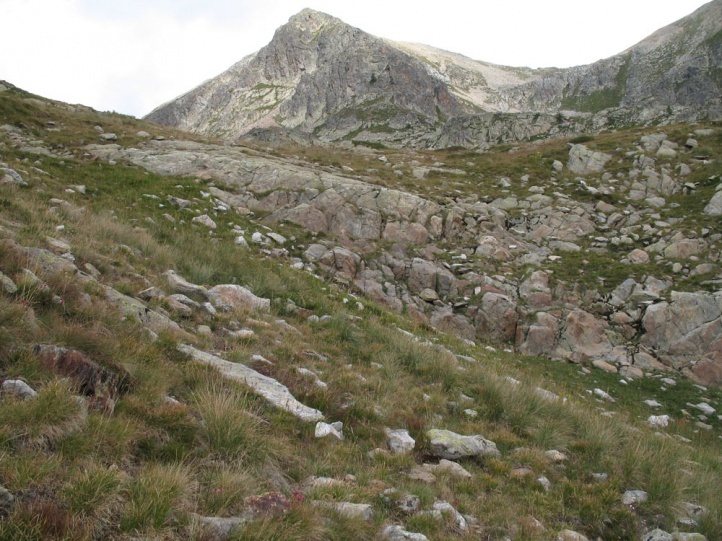 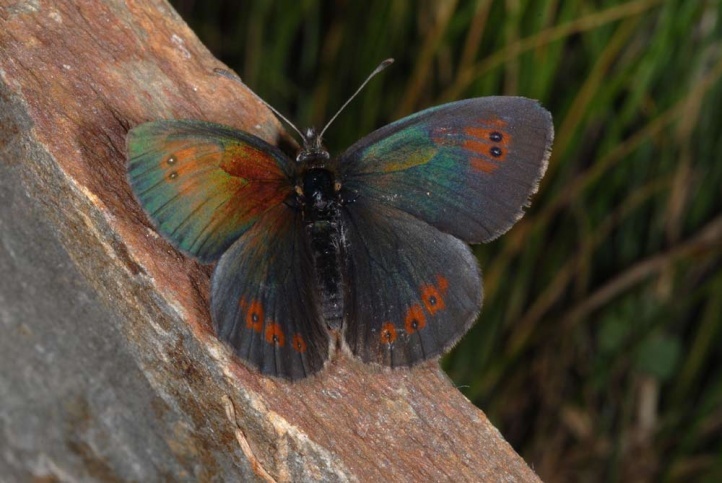 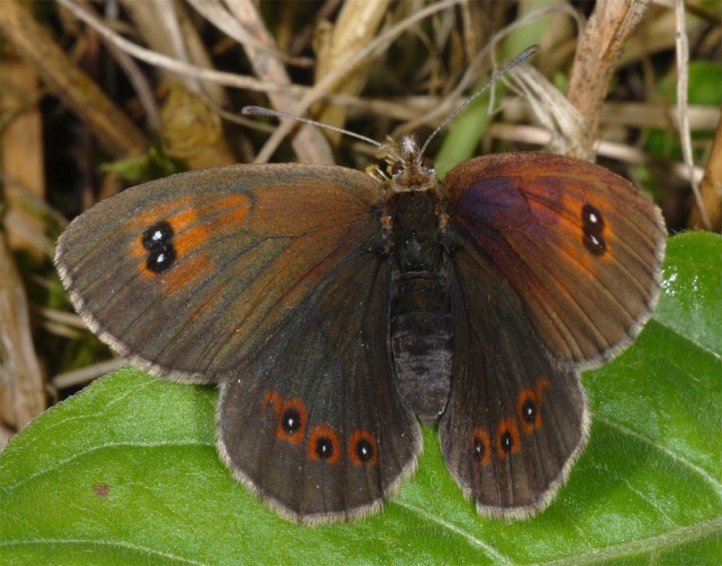 Erebia cassioides is affected at lower altitudes by more intensive farming and generally by tourism, but is still not heavily threatened. 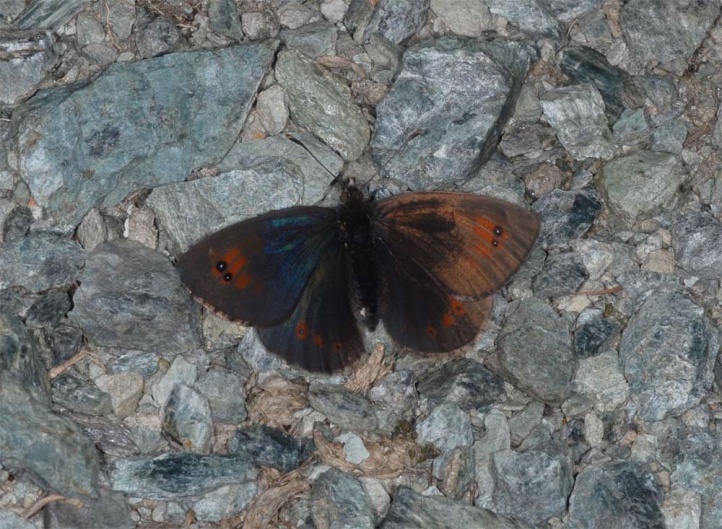 Erebia cassioides occurs in Europe in two races in the east (cassioides, southern eastern Alps from around the Brenner and Salzburg, locally in the Balkan Peninsula) and west (avernensis (western Alps in France and north west Italy, locally in the western Swiss Alps from the Berner Oberland, further Massif Central, the Pyrenees, Cantabrian Mountains, rare in Central Italy). 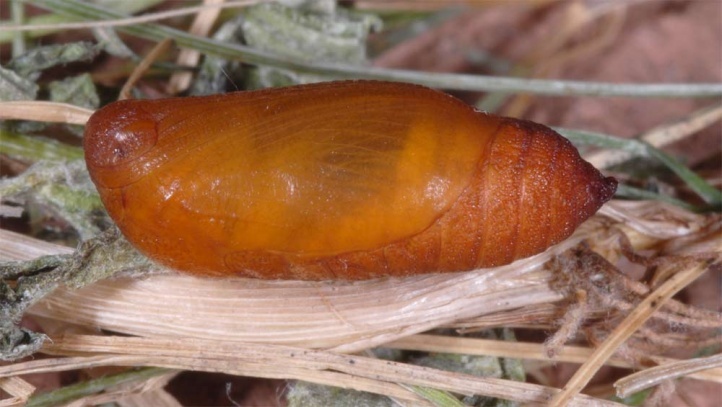 Sometimes recently avernensis is treated as a distinct species. 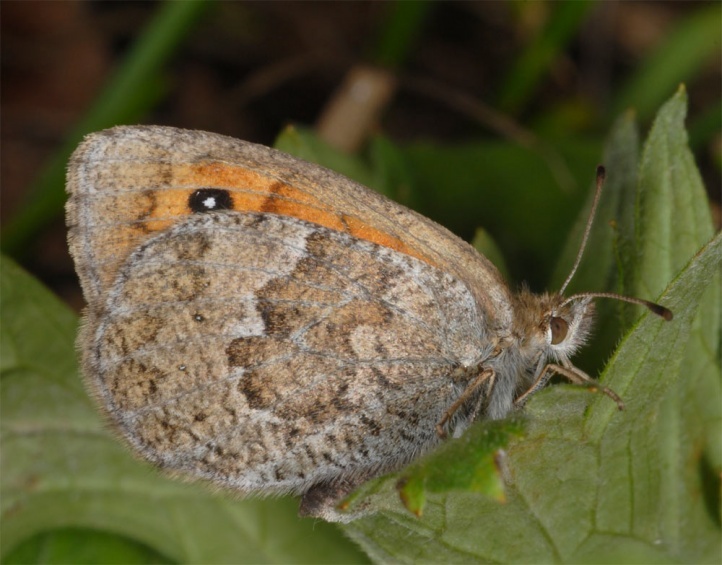 You can find reasons for both positions as it is the case in many other taxonomical problems, but in my opinion a subspecies status fits the situation probably better. 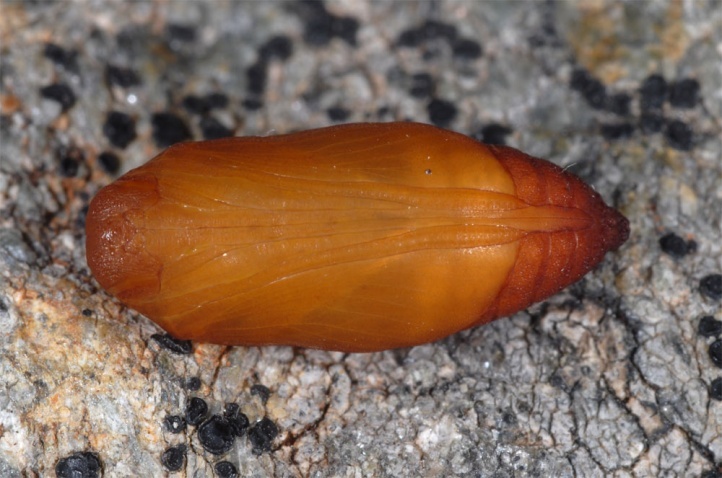 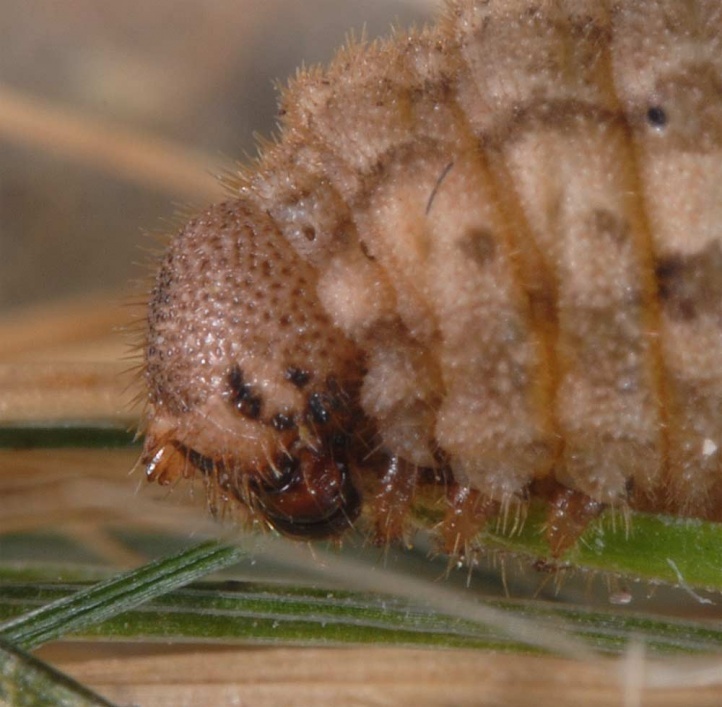 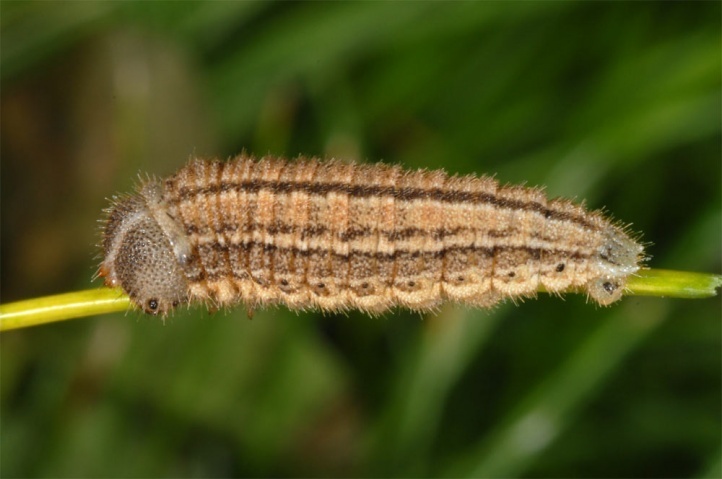 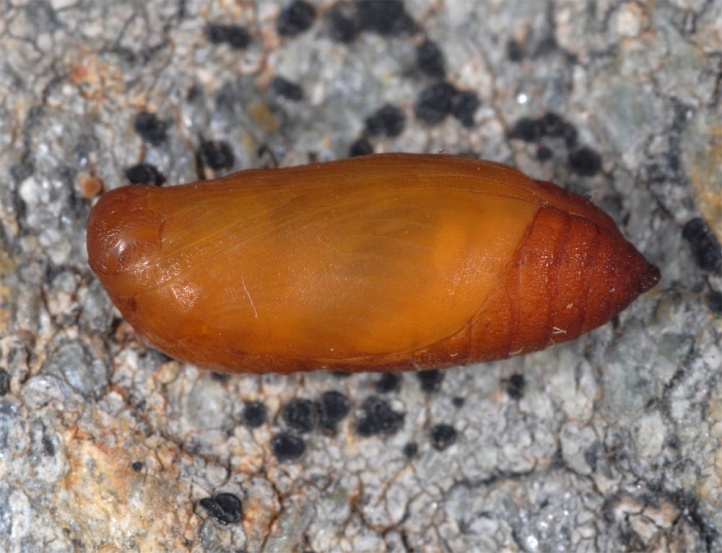 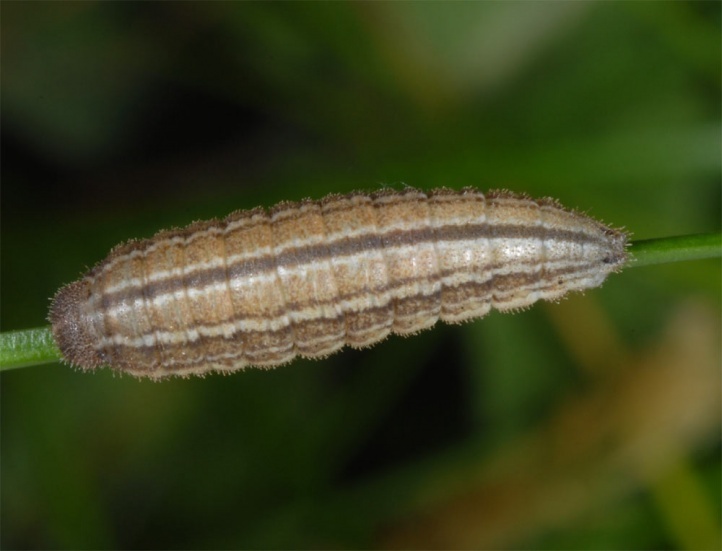 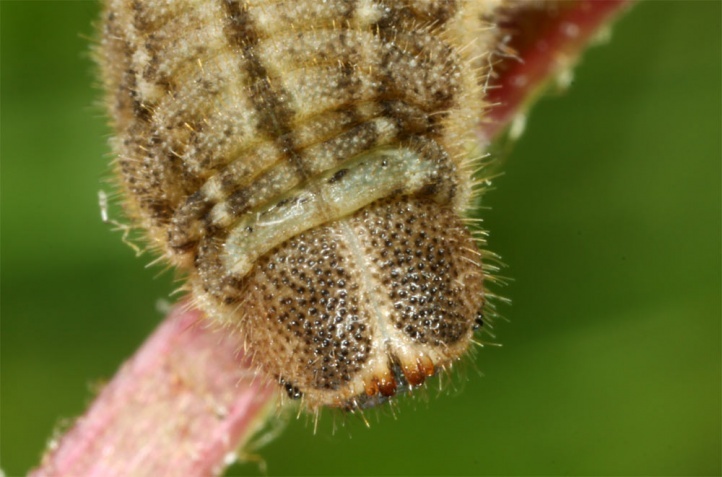 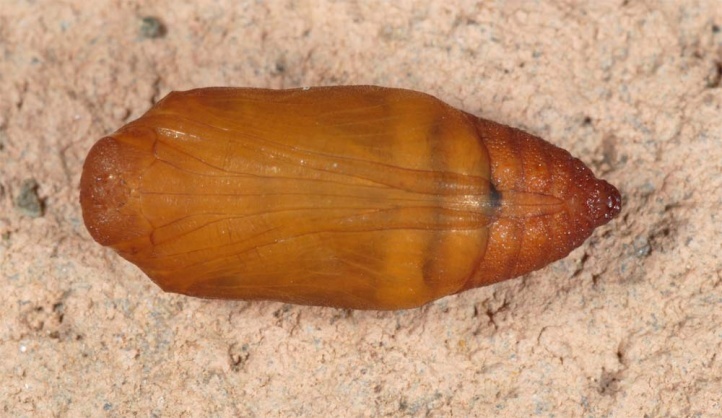 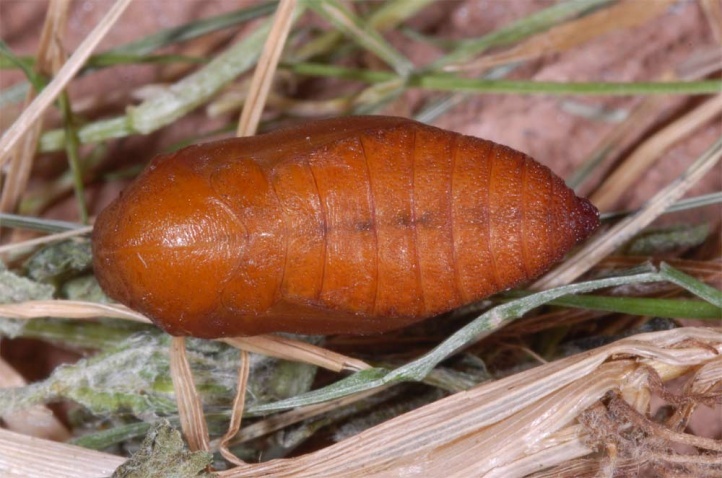 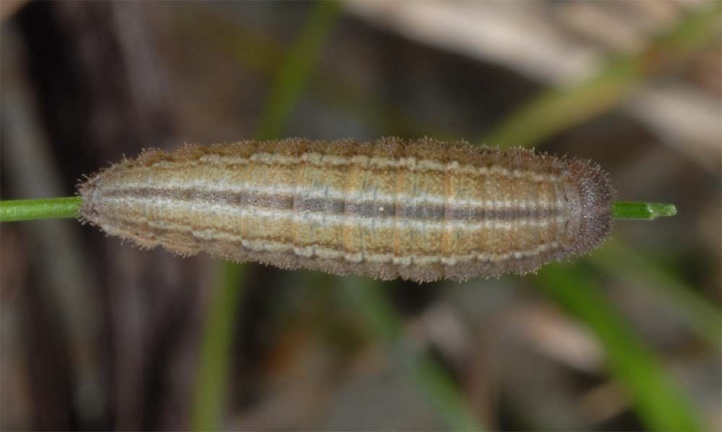 In breeding, the caterpillar can be brought to pupation without hibernation with Erebia tyndarus and Erebia cassioides when they are kept in a warm room. 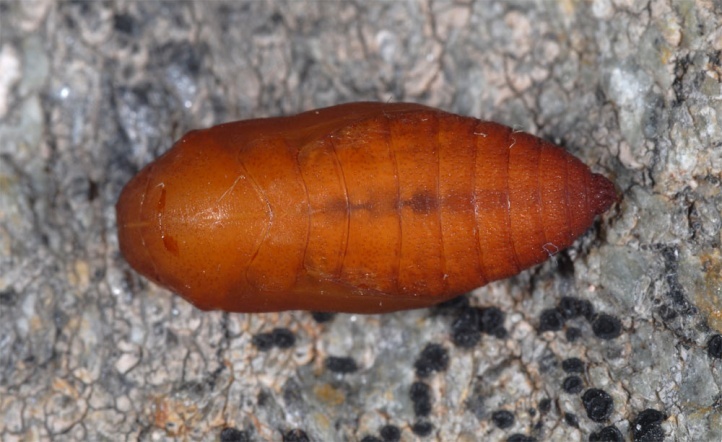 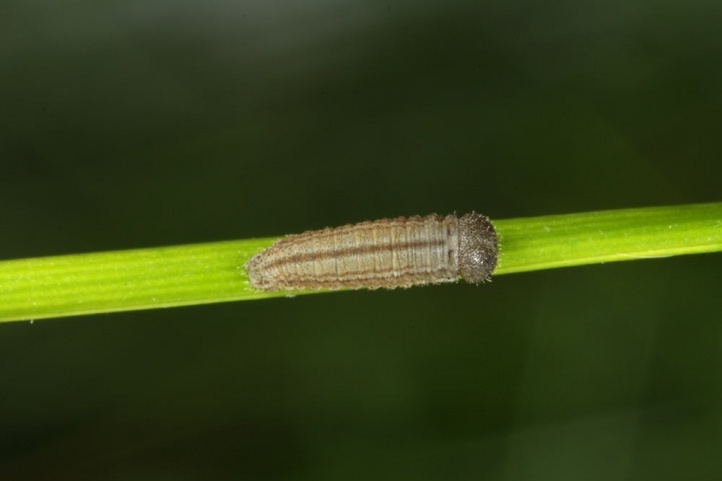 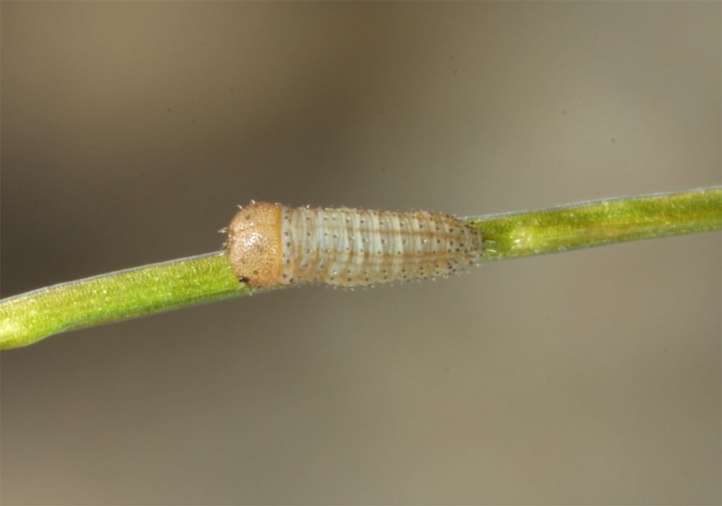 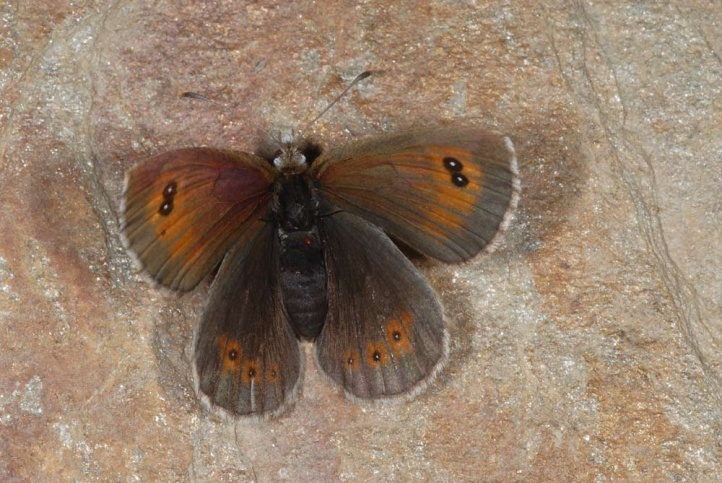 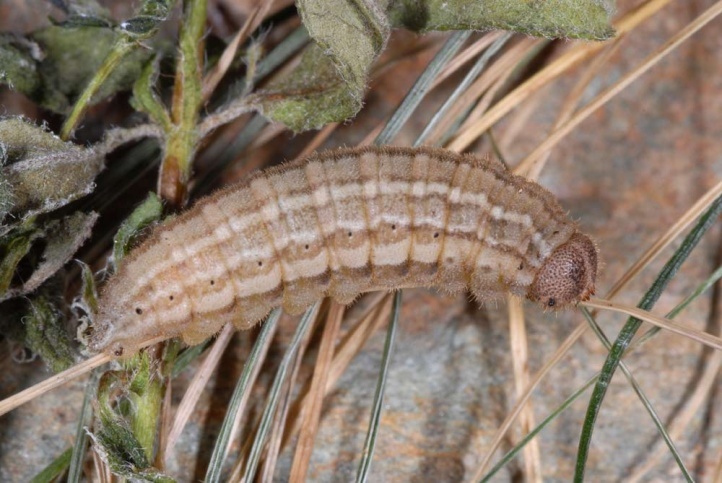 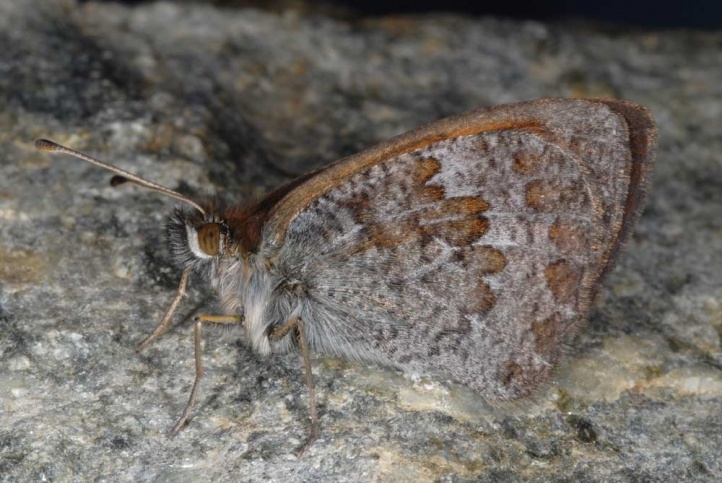 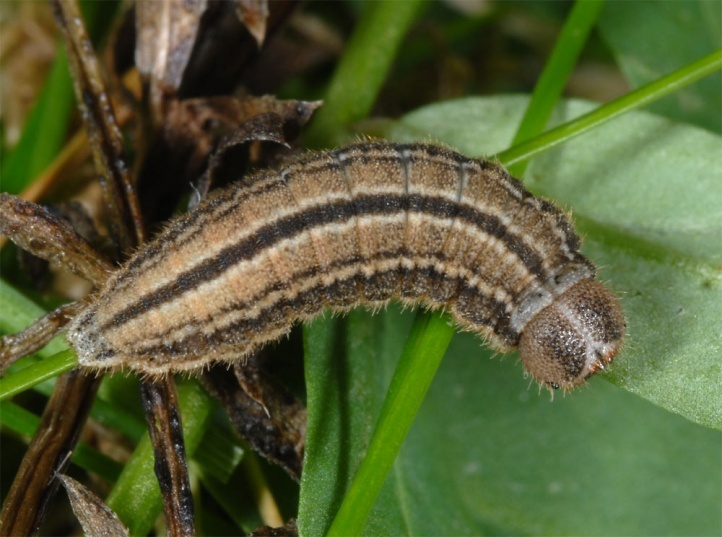 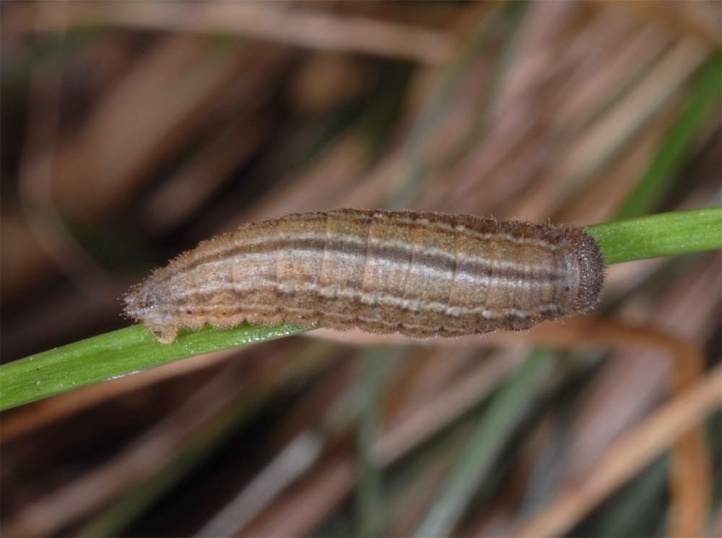 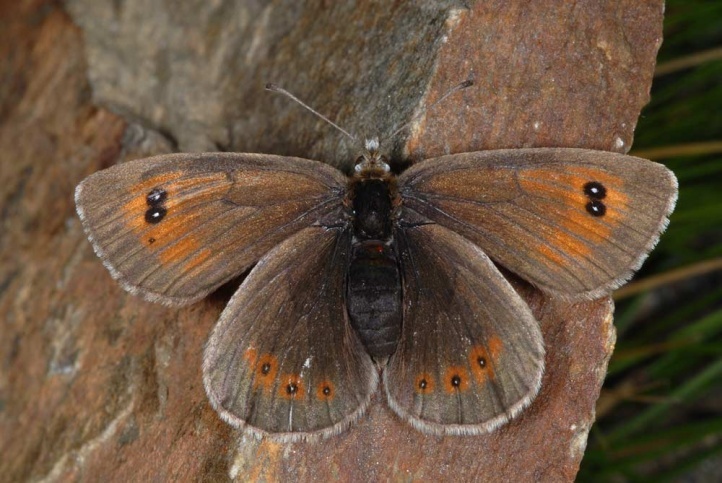 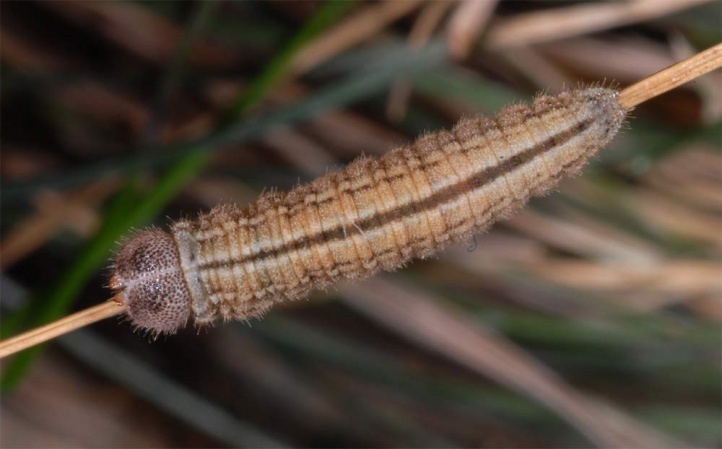 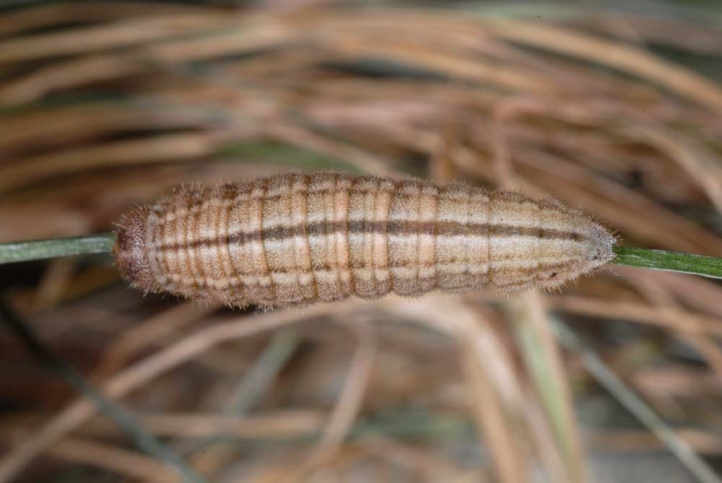 In Erebia nivalis in breeding at least one winter in penultimate instar seems to be necessary.